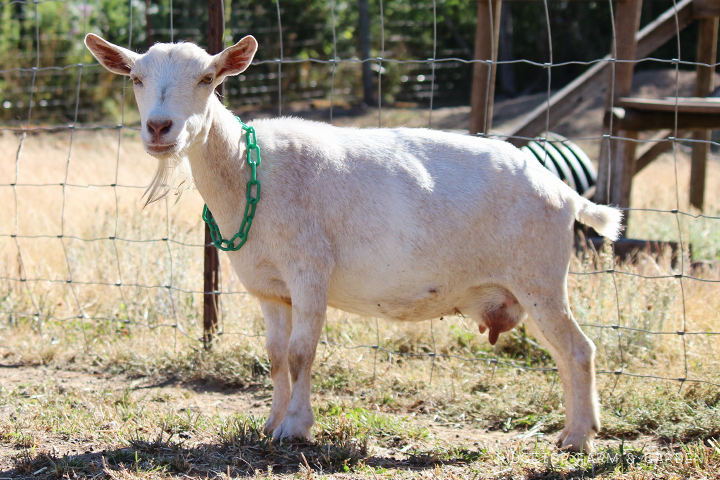 Bunny is our second milking doe. We recently brought her home, so we are just getting to know each other. So far, I love her. She is very mild mannered. She had never been hand milked prior to coming to our house. You would never know it. She gives me very little trouble at milking time. She is lovely. Her cream colored coat has a slight reddish undertone. Bunny had Linear Appraisal’s done in 2015, 2016, and 2017. 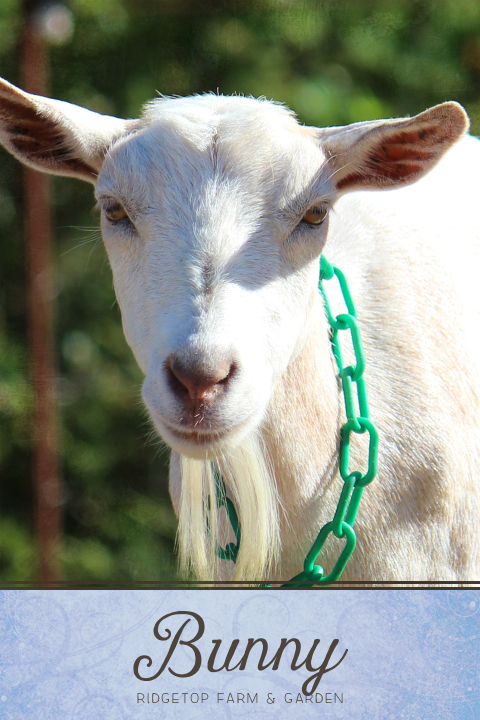 Click here to view her stats on the ADGA Genetics site. Click here to view her milk production evaluation on the ADGA Genetics site.